Many studies have shown that tea has many health benefits next to water, tea is the second most consumed beverage in the world. Many studies have shown that tea has many health benefits, including having a positive effect on your cholesterol levels. Of these types of tea, green tea is the most well-known, since it has been used in ancient medicine to cure ailments such as bleeding and digestive disorders. Green tea is different from other types of tea because it has undergone less processing. Since it does not undergo the extensive fermentation process like other teas, many of its antioxidants, particularly catenins, are preserved. The antioxidant activity of catenins has been known for a variety of health benefits, including cancer prevention, promotion of oral health, easing rheumatoid arthritis, and antibacterial activity. Now, green tea is also gaining fame for reducing cholesterol. How Effectively Does Green Tea Reduce Cholesterol? One study examined the cholesterol-lowering effect of 375 mg of catenin extract in 200 men and women with high cholesterol on a low-fat diet. Researchers found that the catenin extract lowered total cholesterol by 11.3 percent, LDL cholesterol by 16.4 percent, triglycerides by 3.5 percent, and raised HDL by 2.3 percent. 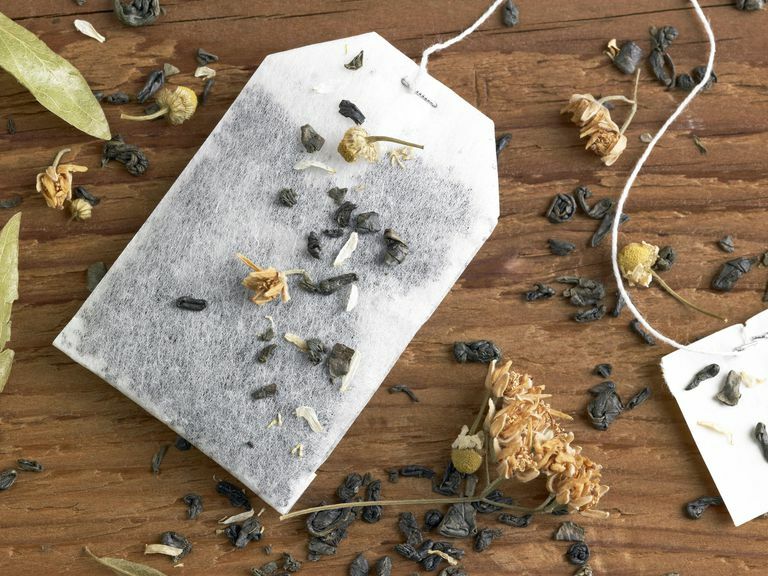 The catenin extract used in this study, however, was not pure and consisted of 75 mg of theaflavins (an antioxidant found in black teas), 150 mg of green tea catenins, and 150 mg of other tea polyphenols. Therefore, only a small portion of catenin extract derived from green tea was used in this study. Additionally, this study suggests that you would need to drink massive amounts of green tea to lower cholesterol and obtain the results seen in this study. Some studies have shown catenin extract derived from green tea to lower total and LDL cholesterol levels by 60 percent and 80 percent respectively. However, most of these studies vary in the amount of catenin extract used and the condition of the participants. Despite these promising results, other studies have been unable to document the cholesterol-lowering effects of green tea. For instance, a most recent study concluded that 3.8 g of catenin extract (up to 18 cups a day of green tea) or six cups of green tea were not effective in lowering cholesterol. However, all the participants in the study were smokers. So, this result could be interpreted in two ways. First, this could suggest that smoking somehow negates the cholesterol-lowering ability of the catenins found in green tea. Second, these results could suggest that green tea catenins are ineffective in lowering cholesterol, thus conflicting with other studies that have suggested that green tea catenins do lower cholesterol. At this point, researchers do not know the answer to the question as to whether or not green tea catenins lower cholesterol. More studies would need to be performed to further investigate this question. In 2006, a petition was filed with the FDA for green tea beverages to carry the health claim that they reduced cardiovascular disease. However, the Food and Drug Administration denied this petition, citing that more evidence was needed in order to verify this claim. In summary, the current studies out there concerning green tea and its ability to lower cholesterol are conflicting and there has not been enough research done that would allow someone to definitely say that green tea lowers cholesterol. Does Drinking Other Types of Tea Also Lower Cholesterol? According to the current research, oolong and black teas may also have cholesterol-lowering effects due to the presence of the catenin-type antioxidants within the tea. However, in some studies, these teas do not appear to work as well as green tea. This is probably due to the fact that these teas undergo a more extensive fermentation process than green teas. Bursill CA, M Abbey, PD Roach. A Green Tea Extract Lowers Plasma Cholesterol by Inhibiting Cholesterol Synthesis and Upregulating the LDL Receptor in the Cholesterol-Fed Rabbit. Atherosclerosis. 2006 Sep 11. Cabrera C, R Artacho, R Gimenez. Beneficial Effects of Green Tea—A Review. J Am Coll Nutr. 2006 Apr;25(2):79-99.
Cooper R, DJ Moore, DM Moore. Medicinal Benefits of Green Tea: Part I. Review of Noncancer Health Benefits. J Altern Complement Med. 2005 Jun;11(3):521-8. Koo SI, SK Noh. Green Tea as Inhibitor of the Intestinal Absorption of Lipids: Potential Mechanism for Its Lipid-Lowering Effect. J Nutr Biochem. 2007 Mar;18(3):179-83. Maron DJ, GP Lui, NS Cai, et al. Cholesterol-Lowering Effect of a Theaflavin-Enriched Green Tea Extract: A Randomized Controlled Trial. Arch Intern Med. 2003 Jun 23;163(12):1448-53. Princen MGH, W van Duyvenvoorde, R Buytenhek, et al. No Effect of Consumption of Green and Black Tea on Plasma Lipid and Antioxidant Levels and on LDL Oxidation in Smokers. Arteriosclerosis, Thrombosis, and Vascular Biology. 1998;18:833-841. Does Bad Cholesterol Lead to Memory Loss?